Merchant, MLA (1879-1883), MLA (1883-1886), MLA (1892-1894), MLA (1900-1903), MLA (1903), sportsman. Born at Thamesford, Ontario on 19 August 1852, son of Isaac Davidson and Christie Anne Cameron, brother of James Henry Davidson, he came to Manitoba in 1871 and settled for ten years at Gladstone where he as a general merchant. He was secretary of the Palestine Baseball Club. He later moved to Beautiful Plains, where in partnership with Jonathan Joseph Hamilton he established the town of Neepawa, building a store, hotel, flour mill, and blacksmith shop to start it in business. They later added a real estate agency. 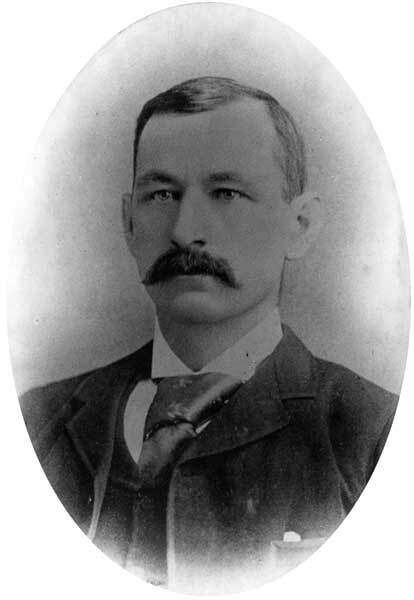 Davidson was an early Mayor of Neepawa and President of Neepawa Mining as well as the Register Printing Company. He also helped establish the Neepawa Curling Club. He was elected to the Manitoba Legislature as a Conservative from Dauphin in the 1881 by-election and re-elected in 1883. He was defeated in the Beautiful Plains riding in 1886 and 1888 but won it by a slender margin in 1892. Two years later, his seat was voided, he was defeated in a August 1894 by-election by John Forsyth, and was defeated again in 1896 and 1899 general elections. In January 1900, despite not sitting in the Assembly, he became a member of the Macdonald administration as Provincial Treasurer and Minister of Agriculture and Immigration. He was elected to the Legislature on 10 March of that year in a by-election, replacing Robert Crosby Ennis. He was elected again in 1903. In 1878, he married Sophia Ellen Hamilton (1852-1913), daughter of Josiah Hamilton of Beautiful Plains. They had seven children: Hamilton Cameron Davidson (1879-1907), Myrtle Davidson (1880-1910), Wilfred Davidson (1882-1882), Emma Camille Davidson (1884-1890), Mary Maud Davidson (1886-? ), Hazel Coral Davidson (1888-1942), and Jack Davidson (1890-1974). He was an active member of the Masons (Gladstone Lodge No. 11 from 1880-1883, Neepawa Lodge No. 24 from 1883-1902 serving as Master in 1883-1885). He died at Neepawa on 14 November 1903. A special train ran from Winnipeg to Neepawa for attendees at his funeral, conducted with full Masonic ritual. He was buried in the Neepawa Riverside Cemetery. He is commemorated by Davidson Street in Winnipeg. John Andrew Davidson, Dictionary of Canadian Biography XIII, 242-44. “Mr. Davidson expires today,” Winnipeg Tribune, 14 November 1903, page 1. Death registrations [Emma Camille Davidson, Hamilton Cameron Davidson, Hazel Coral Davidson], Manitoba Vital Statistics. We thank John Dietz and Stan Barclay for providing additional information used here.